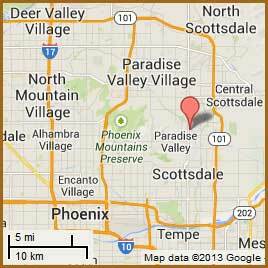 Our Phoenix area office is located in Scottsdale which is a beautiful location. It is only 10 to 12 minutes from the airport. It is a town that has 300 days of Sun out of the year and the bluest skies you can imagine. We have golf courses, and resorts throughout. Your entire treatment should take no more than one or two days with that you can combine it with a destination location enjoy a great time to have fun and recuperate and also take care of your dental needs.